BFD Modern Retro, Virtual Drum/Percussion from Fxpansion in the BFD series. According to FXpansion, BFD Modern Retro is an expansion pack for BFD3, BFD Eco and BFD2 with a pair of kits that "helped define the sound of the 90s and early 2000s". Produced and recorded by Chocolate Audio (the team behind BFD Imperial Drums), the pack combines great levels of detail with varied mic channels and beater types to provide a set of expressive drums with a wide timbral range. The 72 included instruments include 1997 Sonor Designer and late 90s Tama Starclassic kits, Ludwig and Tama snares and a suite of cymbals and hihats by Zildjian, Ufip, Paiste, Turkish and Sabian. Many sounds feature hotrod or brush versions, while kicks are provided in plastic and felt beater versions and recorded with 4 direct mics. As for the ambience of the recording space, it is captured with 2 sets of overhead and room mics. 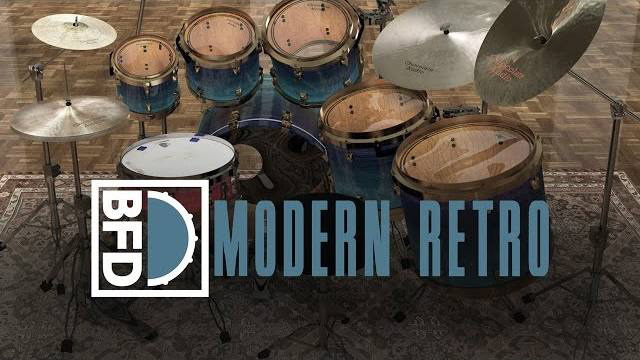 BFD Modern Retro comes with mix-ready presets designed to offer a variety of pop/rock-oriented sounds, although the pack should adapt for all modern genres that demand detailed, focused and powerful-sounding drums. 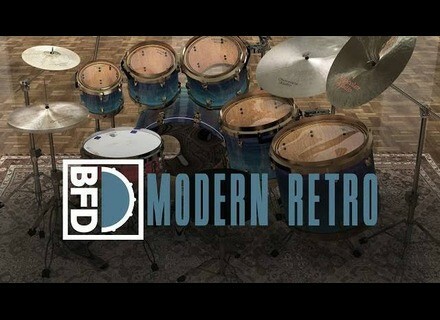 BFD Modern Retro is available now as a download-only product from the FXpansion web shop. Pricing is $125/€95/£85 (inc. VAT where applicable). More information and a full detailed list of the gear used for recorfing can be found at FXpansion's website. IK Multimedia introduces iRig Keys USB IK Multimedia has announced three new MIDI keyboard controllers designed with mobile Mac & PC musicians in mind. LSR Audio launches new de-esser plugin LSR Audio presents the VLB902, a plugin emulation of a classic hardware studio de-esser. Noise Makers updates its plugins Noise Makers releases updates for its Binauralizer and PANO plugins, including new GUIs and much more.